After launching the Affiliate Program, BlueMelon has launched an user referral program. 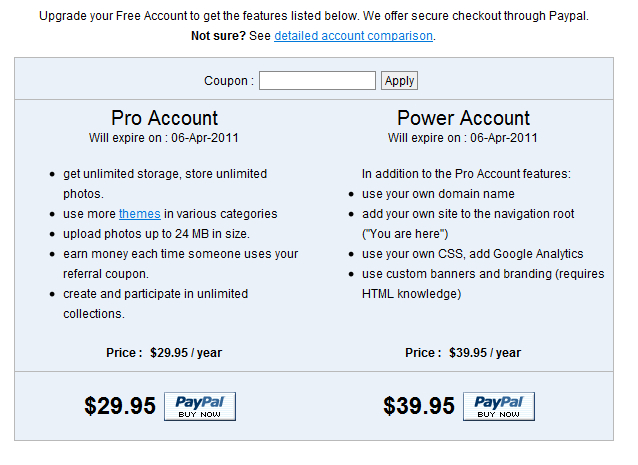 Personal $5 discount coupons have been made available to pro and power account users. These coupons can be used during an upgrade to either of the paid accounts. Anytime someone uses your coupon to lower their subscription fee, you are credited $5. Your referral statistics, balance, payouts and your personal coupon are all available to you in your "My Account" page. As an alternative to using the coupon, your BlueMelon e-mail address can be entered into the coupon field and the address will work just as the coupon would. After choosing an account type and being redirected to PayPal, the price is already lowered by the $5 and after the transaction has been submitted, you as the referrer are credited your $5, which can always be requested at any time after two weeks since the referral. Do, please, refrain from publishing your coupon in any manner that could be considered spamming or is otherwise unseemly.